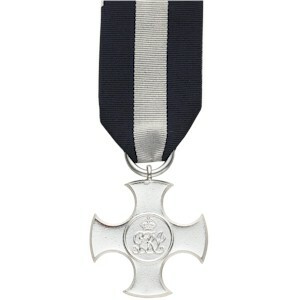 Description: A plain cross with rounded ends. (Obverse) crowned royal cypher GRI in the centre, suspended by a ring. (Reverse) a plain reverse. Ribbon: Three equal parts of dark blue, white and dark blue.